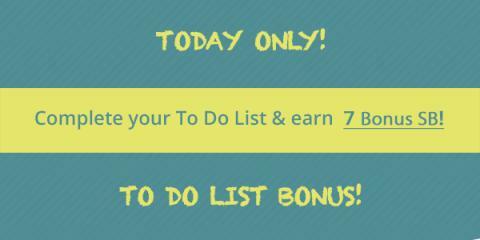 Hey everyone - if you use Swagbucks, you may have noticed the "To-Do List" on the lefthand side of your screen. They're a series of quick activities that can add up to some big SB, and when you complete 6 of the 7 items on the list, you get anywhere between 1-4 SB as a bonus. However, today (9/28) that bonus has been raised to 7 SB for everyone. The To-Do List is a great way to explore different ways to earn your SB - you might discover a new product, some new videos, or answer a survey for a nice payout. Click here to get started on YOUR list! Haven't tried Swagbucks yet? It's the site where you earn points (called SB) for the things you do online every day: searching the web, watching videos, discovering deals, answering surveys, and more. Then you turn those points into free gift cards to places like Amazon, PayPal, and Target. Use today's special bonus as a way to kickstart your Swagbucks account! I have gotten a ton of stuff for free thanks to Swagbacks! Mostly I exchange my SBs for Paypal and Amazon gift cards. 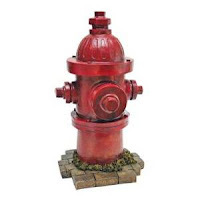 I am building a cement patio with an enclosed grassy area in my backyard, and so I recently bought this adorable fire hydrant for my dogs with my SBs! What will you use your SBs for?